Chow D, G.L., Gai F, Goulian M. Fluorescence correlation spectroscopy measurements of the membrane protein TetA in Escherichia coli suggest rapid diffusion at short length scales. PLoS One. 7, 48600, doi:10.1371/journal.pone.0048600 (2012). Chung, H.-J., Kim, J., Ohno, K. and Composto, R.J. Controlling the location of nanoparticles in polymer blends by tuning the length and end group of polymer brushes. 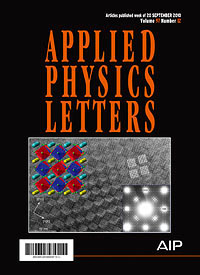 ACS Macro Letters 1, 252-256, doi:10.1021/mz200068p (2012). Hammer, D.A. and Kamat, N.P. Towards an artificial cell. FEBS Lett. 586, 2882–2890, doi:10.1016/j.febslet.2012.08.016 (2012). Hore, M.J.A. and Composto, R.J. Using miscible polymer blends to control depletion-attraction forces between Au nanorods in nanocomposite films. Macromolecules 45, 6078-6086, doi:10.1021/ma300992e (2012). Hore, M.J.A. and Composto, R.J. Strategies for dispersing, assembling, and orienting nanorods in polymers. Current Opinion in Chemical Engineering (Invited) 2, 95–102, doi:http://dx.doi.org/10.1016/j.coche.2012.10.001 (2012). Hore, M.J.A., Frischknecht, A.L. and Composto, R.J. Nanorod assemblies in polymer films and their dispersion-dependent optical properties. 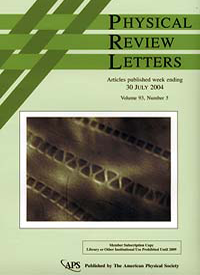 ACS Macro Letters 1, 115-121, doi:10.1021/mz200031g (2012). Jiang, G., Hore, M.J.A., Gam, S. and Composto, R.J. Gold nanorods dispersed in homopolymer films: Optical properties controlled by self-assembly and percolation of nanorods. ACS Nano 6, 1578-1588, doi:10.1021/nn2045449 (2012). Katz, J.S., Eisenbrown, K.A., Johnston, E.D., Kamat, N.P., Rawson, J., Therien, M.J., Burdick, J.A. and Hammer, D.A. Soft biodegradable polymersomes from caprolactone-derived polymers. Soft Matter 8, 10853-10862, doi:10.1039/c2sm26275d (2012). Lewis, A.J., Nakamaru-Ogiso, E., Kikkawa, J.M., Carroll, P.J. and Schelter, E.J. Pentavalent uranium trans-dihalides and -pseudohalides. Chem. Commun. 48, 4977-4979, doi:10.1039/c2cc31601c (2012). Lewis, A.J., Williams, U.J., Kikkawa, J.M., Carroll, P.J. and Schelter, E.J. Uranium pyrrolylamine complexes featuring a trigonal binding pocket and interligand noncovalent interactions. Inorg. Chem. 51, 37-39, doi:10.1021/ic202411f (2012). Majkut, S.F. and Discher, D.E. Cardiomyocytes from late embryos and neonates do optimal work and striate best on substrates with tissue-level elasticity: metrics and mathematics. Biomech. Model. Mechanobiol. 11, 1219-1225, doi:10.1007/s10237-012-0413-8 (2012). Nguyen, N.H., Levere, M.E. and Percec, V. SET-LRP of methyl acrylate to complete conversion with zero termination. J. Polymer Sci. Part A: Polymer Chem. 50, 860-873, doi:10.1002/pola.25838 (2012). Tu, F.Q. and Lee, D. Controlling the stability and size of double-emulsion-templated poly(lactic-co-glycolic) acid microcapsules. 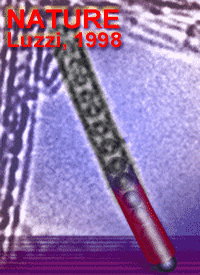 Langmuir 28, 9944-9952, doi:10.1021/la301498f (2012). Williams, U.J., Mahoney, B.D., DeGregorio, P.T., Carroll, P.J., Nakamaru-Ogiso, E., Kikkawa, J.M. and Schelter, E.J. A comparison of the effects of symmetry and magnetoanisotropy on paramagnetic relaxation in related dysprosium single ion magnets. Chem. Commun. 48, 5593-5595, doi:10.1039/c2cc31227a (2012). Yunker, P.J., Gratale, M., Lohr, M.A., Still, T., Lubensky, T.C. and Yodh, A.G. Influence of particle shape on bending rigidity of colloidal monolayer membranes and particle deposition during droplet evaporation in confined geometries. Phys. Rev. Lett. 108, 228303, doi:10.1103/PhysRevLett.108.228303 (2012). Zhang, L., Prosser, J.H., Feng, G. and Lee, D. Mechanical properties of atomic layer deposition-reinforced nanoparticle thin films. Nanoscale 4, 6543-6552, doi:10.1039/c2nr32016a (2012). Botto, L., Lewandowski, E.P., Cavallaro, M. and Stebe, K.J. Capillary interactions between anisotropic particles. Soft Matter 8, 9957-9971, doi:10.1039/c2sm25929j (2012). Botto, L., Yao, L., Leheny, R.L. and Stebe, K.J. Capillary bond between rod-like particles and the micromechanics of particle-laden interfaces. Soft Matter 8, 4971-4979, doi:10.1039/c2sm25211b (2012). Casey, M.T., Scarlett, R.T., Rogers, W.B., Jenkins, I., Sinno, T. and Crocker, J.C. Driving diffusionless transformations in colloidal crystals using DNA handshaking. Nat. Commun. 3, 1209, doi:10.1038/ncomms2206 (2012). Chen, B.K., Choi, B.J., Yang, X. and Chen, I.-W. A parallel circuit model for multi-state resistance-switching random access memory. Adv. Func. Mater. 22, 546-554, doi:10.1002/adfm.201102208 (2011). Chen, J., Ye, X.C., Oh, S.J., Kikkawa, J.M., Kagan, C.R. and Murray, C.B. Bistable magnetoresistance switching in exchange-coupled CoFe2O4–Fe3O4 binary nanocrystal superlattices by self-assembly and thermal annealing. ACS Nano 7, 1478-1486, doi:10.1021/nn3052617 (2012). Choi, J.H., Fafarman, A.T., Oh, S.J., Ko, D.K., Kim, D.K., Diroll, B.T., Muramoto, S., Gillen, J.G., Murray, C.B. and Kagan, C.R. Bandlike transport in strongly coupled and doped Quantum Dot solids: A route to high-performance thin-film electronics. Nano Letters 12, 2631-2638, doi:10.1021/nl301104z (2012). Cook, K.T., Tettey, K.E., Bunch, R.M., Lee, D. and Nolte, A.J. One-step index-tunable antireflection coatings from aggregated silica nanoparticles. Appl. Mater. Interfaces 4, 6426−6431, doi:10.1021/am3020586 (2012). Daniels, L.J., Haxton, T.K., Xu, N., Liu, A.J. and Durian, D.J. Temperature-pressure scaling for air-fluidized grains near jamming. Phys. Rev. Lett. 108, 138001, doi:10.1103/PhysRevLett.108.138001 (2012). Fafarman, A.T., Hong, S.-H., Caglayan, H., Ye, X.C., Diroll, B.T., Paik, T., Engheta, N., Murray, C.B. and Kagan, C.R. Chemically tailored dielectric-to-metal transition for the design of metamaterials from nanoimprinted colloidal nanocrystals. Nano Letters, doi:10.1021/nl303161d (2012). Feng, J., Li, W.B., Qian, X.F., Qi, J.S., Qi, L. and Li, J. Patterning of graphene. Nanoscale 4, 4883-4899, doi:10.1039/c2nr30790a (2012). Feng, J., Qian, X.F., Huang, C.W. and Li, J. Strain-engineered artificial atom as a broad-spectrum solar energy funnel. Nat. Photonics 6, 865-871, doi:10.1038/nphoton.2012.285 (2012). Franklin, J. and Lukes, J. Patterning alloy precipitates through tailored surface loading. Metallurgical and Materials Transactions A, 1-10, doi:10.1007/s11661-011-1033-0 (2012). Gam, S., Meth, J.S., Zane, S.G., Chi, C.Z., Wood, B.A., Winey, K.I., Clarke, N. and Composto, R.J. Polymer diffusion in a polymer nanocomposite: Effect of nanoparticle size and polydispersity. 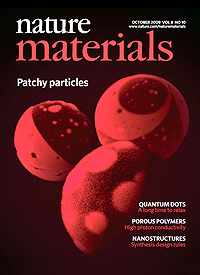 Soft Matter 8, 6512-6520, doi:10.1039/c2sm25269d (2012). Guvendiren, M., Soshinski, A.A., Gambogi, R.J. and Yang, S. Calcium carbonate composite hydrogel films: Particle packing and optical properties. Polym. Eng. Sci. 52, 1317-1324, doi:10.1002/pen.23077 (2012). Harris, T.H., Banigan, E.J., Christian, D.A., Konradt, C., Wojno, E.D.T., Norose, K., Wilson, E.H., John, B., Weninger, W., Luster, A.D., Liu, A.J. and Hunter, C.A. Generalized Levy walks and the role of chemokines in migration of effector CD8+ T cells. 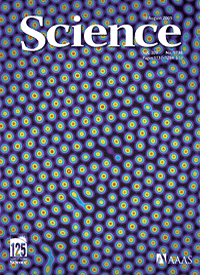 Nature 486, 545-U145, doi:10.1038/nature11098 (2012). Hsieh, W.T., Hsu, C.J., Capraro, B.R., Wu, T.T., Chen, C.M., Yang, S. and Baumgart, T. Curvature sorting of peripheral proteins on solid-supported wavy membranes. Langmuir 28, 12838-12843, doi:10.1021/la302205b (2012). 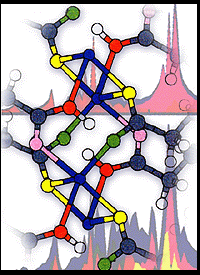 Ishii, A., Ogata, S., Kimizuka, H. and Li, J. Adaptive-boost molecular dynamics simulation of carbon diffusion in iron. Phys. Rev. B 85, 064303, doi:10.1103/PhysRevB.85.064303 (2012). Kang, Y.J., Pyo, J.B., Ye, X.C., Diaz, R.E., Gordon, T.R., Stach, E.A. and Murray, C.B. Shape-controlled synthesis of Pt nanocrystals: The role of metal carbonyls. ACS Nano 7, 645-653, doi:10.1021/nn3048439 (2012). Kang, Y.J., Pyo, J.B., Ye, X.C., Gordon, T.R. and Murray, C.B. Synthesis, shape control, and methanol rlectro-oxidation properties of Pt-Zn alloy and Pt3Zn intermetallic nanocrystals. ACS Nano 6, 5642-5647, doi:10.1021/nn301583g (2012). Kang, Y.J., Qi, L., Li, M., Diaz, R.E., Su, D., Adzic, R.R., Stach, E., Li, J. and Murray, C.B. Highly active Pt3Pb and core-shell Pt3Pb-Pt electrocatalysts for formic acid oxidation. 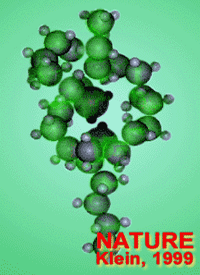 ACS Nano 6, 2818-2825, doi:10.1021/nn3003373 (2012). Kang, Y.J., Ye, X.C., Chen, J., Cai, Y., Diaz, R.E., Adzic, R.R., Stach, E.A. and Murray, C.B. Design of Pt–Pd binary superlattices exploiting shape effects and synergistic effects for oxygen reduction reactions. J. Am. Chem. Soc. 135, 42–45, doi:10.1021/ja3097527 (2012). Lee, M.H., Hribar, K.C., Brugarolas, T., Kamat, N.P., Burdick, J.A. and Lee, D. Harnessing interfacial phenomena to program the release properties of hollow microcapsules. Adv. Funct. Mater. 22, 131-138, doi:10.1002/adfm.201101303 (2012). Lee, M.H., Lim, B., Kim, J.W., An, E.J. and Lee, D. Effect of composition on water permeability of model stratum corneum lipid membranes. Soft Matter 8, 1539-1546 (2012). Lee, S.W., Tettey, K.E., Kim, I.L., Burdick, J.A. and Lee, D. Controlling the cell-adhesion properties of poly(acrylic acid)/polyacrylamide hydrogen-bonded multilayers. Macromolecules 45, 6120-6126, doi:10.1021/ma301025a (2012). Levere, M.E., Nguyen, N.H. and Percec, V. No reduction of CuBr2 during Cu(0)-catalyzed living radical polymerization of Methyl Acrylate in DMSO at 25°C. Macromolecules 45, 8267-8274, doi:10.1021/ma301547n (2012). Li, J., Shim, J., Deng, J., Overvelde, J.T.B., Zhu, X.L., Bertoldi, K. and Yang, S. Switching periodic membranes via pattern transformation and shape memory effect. Soft Matter 8, 10322-10328, doi:10.1039/c2sm25816a (2012). Liu, X.H., Liu, Y., Kushima, A., Zhang, S.L., Zhu, T., Li, J. and Huang, J.Y. In Situ TEM experiments of electrochemical lithiation and delithiation of individual nanostructures. Adv. Energy Mater. 2, 722-741, doi:10.1002/aenm.201200024 (2012). Liu, X.H., Wang, J.W., Huang, S., Fan, F.F., Huang, X., Liu, Y., Krylyuk, S., Yoo, J., Dayeh, S.A., Davydov, A.V., Mao, S.X., Picraux, S.T., Zhang, S.L., Li, J., Zhu, T. and Huang, J.Y. In situ atomic-scale imaging of electrochemical lithiation in silicon. Nat. Nanotechnol. 7, 749-756, doi:10.1038/nnano.2012.170 (2012). Liu, X.H., Wang, J.W., Liu, Y., Zheng, H., Kushima, A., Huang, S., Zhu, T., Mao, S.X., Li, J., Zhang, S.L., Lu, W., Tour, J.M. and Huang, J.Y. In situ transmission electron microscopy of electrochemical lithiation, delithiation and deformation of individual graphene nanoribbons. Carbon 50, 3836-3844, doi:10.1016/j.carbon.2012.04.025 (2012). Loverde, S.M., Klein, M.L. and Discher, D.E. Nanoparticle shape improves delivery: Rational coarse grain molecular dynamics (rCG-MD) of taxol in worm-like PEG-PCL micelles. Adv. Mater. 24, 3823-3830, doi:10.1002/adma.201103192 (2012). Lu, H.D., Charati, M.B., Kim, I.L. and Burdick, J.A. Injectable shear-thinning hydrogels engineered with a self-assembling dock-and-lock mechanism. 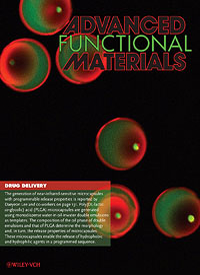 Biomaterials 33, 2145-2153, doi:10.1016/j.biomaterials.2011.11.076 (2012). Mulhearn, W.D., Kim, D.D., Gu, Y.L. and Lee, D. Facilitated transport enhances spray layer-by-layer assembly of oppositely charged nanoparticles. 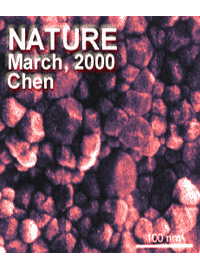 Soft Matter 8, 10419-10427, doi:10.1039/c2sm26456k (2012). Mutiso, R.M., Sherrott, M.C., Li, J. and Winey, K.I. Simulations and generalized model of the effect of filler size dispersity on electrical percolation in rod networks. Phys. Rev. B 86, 214306, doi:10.1103/PhysRevB.86.214306 (2012). Nam, S.W., Chung, H.S., Lo, Y.C., Qi, L., Li, J., Lu, Y., Johnson, A.T.C., Jung, Y.W., Nukala, P. and Agarwal, R. Electrical wind force-driven and dislocation-templated amorphization in phase-change nanowires. 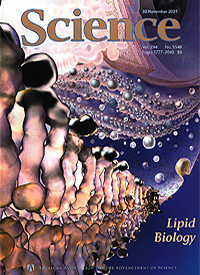 Science 336, 1561-1566, doi:10.1126/science.1220119 (2012). Nguyen, N.H., Levere, M.E., Kulis, J., Monteiro, M.J. and Percec, V. Analysis of the Cu(0)-catalyzed polymerization of methyl acrylate in disproportionating and nondisproportionating solvents. Macromolecules 45, 4606-4622, doi:10.1021/ma3003714 (2012). Nguyen, N.H., Levere, M.E. and Percec, V. TREN versus Me6-TREN as ligands in SET-LRP of methyl acrylate. J. Polymer Sci. Part A: Polymer Chem. 50, 35-46, doi:10.1002/pola.24962 (2012). Park, B.J. and Lee, D. Configuration of nonspherical amphiphilic particles at a fluid-fluid interface. Soft Matter 8, 7690-7698, doi:10.1039/c2sm25775k (2012). Park, B.J. and Lee, D. Equilibrium orientation of nonspherical Janus particles at fluid-fluid interfaces. ACS Nano 6, 782-790, doi:10.1021/nn204261w (2012). Park, J.T., Prosser, J.H., Ahn, S.H., Kim, S.J., Kim, J.H. and Lee, D. Enhancing the performance of solid-state dye-sensitized solar cells using a mesoporous interfacial titania layer with a Bragg stack. Adv. Funct. Mater. 23, 2193-2200, doi:10.1002/adfm.201202345 (2012). Percec, V., Imam, M.R., Peterca, M. and Leowanawat, P. Self-organizable vesicular columns assembled from polymers dendronized with semifluorinated Janus dendrimers act as reverse thermal actuators. J. Am. Chem. Soc. 134, 4408-4420, doi:10.1021/ja2118267 (2012). Perez-Aguilar, J.M. and Saven, J.G. Computational design of membrane proteins. Structure 20, 5-14, doi:10.1016/j.str.2011.12.003 (2012). Prantner, A.M., Chen, J., Murray, C.B. and Scholler, N. Coating evaluation and purification of monodisperse, water-soluble, magnetic nanoparticles using sucrose density gradient ultracentrifugation. Chem. Mat. 24, 4008-4010, doi:10.1021/cm302582z (2012). Prosser, J.H., Brugarolas, T., Lee, S., Nolte, A.J. and Lee, D. Avoiding cracks in nanoparticle films. Nano Lett. 12, 5287-5291, doi:10.1021/nl302555k (2012). Qaddoura, M.A., Belfield, K.D. and Heiney, P.A. Liquid crystal-directed assembly and phase morphology of a squaraine dye. Supramol. Chem. 24, 299-311, doi:10.1080/10610278.2012.658391 (2012). Qi, J.S., Qian, X.F., Qi, L., Feng, J., Shi, D.N. and Li, J. Strain-engineering of band gaps in piezoelectric boron nitride nanoribbons. Nano Lett. 12, 1224-1228, doi:10.1021/nl2035749 (2012). Reed, J.C., Zhu, H., Zhu, A.Y., Li, C. and Cubukcu, E. Graphene-enabled silver nanoantenna sensors. Nano Lett. 12, 4090-4094, doi:10.1021/nl301555t (2012). Rehfeldt, F., Brown, A.E.X., Raab, M., Cai, S.S., Zajac, A.L., Zemel, A. and Discher, D.E. Hyaluronic acid matrices show matrix stiffness in 2D and 3D dictates cytoskeletal order and myosin-II phosphorylation within stem cells. Integr. Biol. 4, 422-430, doi:10.1039/c2ib00150k (2012). Salas-de la Cruz, D., Denis, J.G., Griffith, M.D., King, D.R., Heiney, P.A. and Winey, K.I. Environmental chamber for in situ dynamic control of temperature and relative humidity during x-ray scattering. Rev. Sci. Instrum. 83, 025112-025117, doi:10.1063/1.3685753 (2012). Sarkar, S., Li, J., Cox, W.T., Bitzek, E., Lenosky, T.J. and Wang, Y.Z. Finding activation pathway of coupled displacive-diffusional defect processes in atomistics: Dislocation climb in fcc copper. Phys. Rev. B 86, 014115, doi:10.1103/PhysRevB.86.014115 (2012). Schramm, C.A., Hannigan, B.T., Donald, J.E., Keasar, C., Saven, J.G., DeGrado, W.F. and Samish, I. Knowledge-based potential for positioning membrane-associated structures and assessing residue-specific energetic contributions. Structure 20, 924-935, doi:http://dx.doi.org/10.1016/j.str.2012.03.016 (2012). Shinoda, W., DeVane, R. and Klein, M.L. Computer simulation studies of self-assembling macromolecules. Curr. Opin. Struct. Biol. 22, 175-186, doi:10.1016/j.sbi.2012.01.011 (2012). Still, T., Yunker, P.J. and Yodh, A.G. Surfactant-induced marangoni eddies alter the coffee-rings of evaporating colloidal drops. Langmuir 28, 4984-4988, doi:10.1021/la204928m (2012). Sun, K., Souslov, A., Mao, X.M. and Lubensky, T.C. Surface phonons, elastic response, and conformal invariance in twisted kagome lattices. Proc. Natl. Acad. Sci. USA 109, 12369-12374, doi:10.1073/pnas.1119941109 (2012). Tian, L., Cheng, Y.-Q., Shan, Z.-W., Li, J., Wang, C.-C., Han, X.-D., Sun, J. and Ma, E. Approaching the ideal elastic limit of metallic glasses. Nat. Commun. 3, 609, doi:http://www.nature.com/ncomms/journal/v3/n1/suppinfo/ncomms1619_S1.html (2012). Tous, E., Weber, H.M., Lee, M.H., Koomalsingh, K.J., Shuto, T., Kondo, N., Gorman, J.H., Lee, D., Gorman, R.C. and Burdick, J.A. Tunable hydrogel-microsphere composites that modulate local inflammation and collagen bulking. Acta Biomater. 8, 3218-3227, doi:10.1016/j.actbio.2012.05.027 (2012). Uma, B., Swaminathan, T.N., Ayyaswamy, P.S., Eckmann, D.M. and Radhakrishnan, R. Generalized Langevin dynamics of a nanoparticle using a finite element approach: Thermostating with correlated noise (vol 135, 114104, 2011). J. Chem. Phys. 136, 019901, doi:10.1063/1.3674980 (2012). Vora, P.M., Torrens, O.N. and Kikkawa, J.M. Calculation of the chirality-dependent orbital magnetic anisotropy in doped semiconducting single-walled carbon nanotubes. Carbon 50, 771-777, doi:10.1016/j.carbon.2011.09.024 (2012). Wan, D.Y., Lin, T.Q., Bi, H., Huang, F.Q., Xie, X.M., Chen, I.W. and Jiang, M.H. Autonomously controlled homogenous growth of Wafer-sized high-quality graphene via a smart Janus substrate. Adv. Funct. Mater. 22, 1033-1039, doi:10.1002/adfm.201102560 (2012). Wang, C.C., Ding, J., Cheng, Y.Q., Wan, J.C., Tian, L., Sun, J., Shan, Z.W., Li, J. and Ma, E. Sample size matters for Al88Fe7Gd5 metallic glass: Smaller is stronger. Acta Mater. 60, 5370-5379, doi:10.1016/j.actamat.2012.06.019 (2012). Wang, Y.H., Collins, A., Guo, L., Smith-Dupont, K.B., Gai, F., Svitkina, T. and Janmey, P.A. Divalent cation-induced cluster formation by polyphosphoinositides in model membranes. J. Am. Chem. Soc. 134, 3387-3395, doi:10.1021/ja208640t (2012). Wang, Z.J., Li, Q.J., Shan, Z.W., Li, J., Sun, J. and Ma, E. Sample size effects on the large strain bursts in submicron aluminum pillars. Appl. Phys. Lett. 100, 071906, doi:10.1063/1.3681582 (2012). Wang, Z.J., Shan, Z.W., Li, J., Sun, J. and Ma, E. Pristine-to-pristine regime of plastic deformation in submicron-sized single crystal gold particles. Acta Mater. 60, 1368-1377, doi:10.1016/j.actamat.2011.10.035 (2012). Wen, Q., Basu, A., Janmey, P.A. and Yodh, A.G. Non-affine deformations in polymer hydrogels. 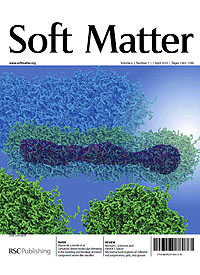 Soft Matter 8, 8039-8049, doi:10.1039/c2sm25364j (2012). Wu, J.B., Qi, L., You, H.J., Gross, A., Li, J. and Yang, H. Icosahedral platinum alloy nanocrystals with enhanced electrocatalytic activities. J. Am. Chem. Soc. 134, 11880-11883, doi:10.1021/ja303950v (2012). Yang, H., Huang, S., Huang, X., Fan, F.F., Liang, W.T., Liu, X.H., Chen, L.Q., Huang, J.Y., Li, J., Zhu, T. and Zhang, S.L. Orientation-dependent interfacial mobility governs the anisotropic swelling in lithiated silicon nanowires. Nano Lett. 12, 1953-1958, doi:10.1021/nl204437t (2012). Yang, X. and Chen, I.W. Dynamic-load-enabled ultra-low power multiple-state RRAM devices. Sci. Rep. 2, 744, doi:10.1038/srep00744 (2012). Young, S.M., Zaheer, S., Teo, J.C.Y., Kane, C.L., Mele, E.J. and Rappe, A.M. Dirac semimetal in three dimensions. Phys. Rev. Lett. 108, 140405, doi:10.1103/PhysRevLett.108.140405 (2012). Zhang, L., Mao, Y.S., Janmey, P.A. and Yin, H.L. Phosphatidylinositol 4, 5 bisphosphate and the actin cytoskeleton. Subcell Biochem. 59, 177-215, doi:10.1007/978-94-007-3015-1_6 (2012). Zhu, H., Yi, F. and Cubukcu, E. Nanoantenna absorbers for thermal detectors. IEEE Photonics Technol. Lett. 24, 1194-1196, doi:10.1109/lpt.2012.2199745 (2012). Adiga, V.P., Suresh, S., Datta, A., Carlisle, J.A. and Carpick, R.W. Thermomechanical stability of ultrananocrystalline diamond. J. Appl. Phys. 111, 054913, doi:10.1063/1.3693308 (2012). Aitken, B.S., Buitrago, C.F., Heffley, J.D., Lee, M., Gibson, H.W., Winey, K.I. and Wagener, K.B. Precision ionomers: Synthesis and thermal/mechanical characterization. Macromolecules 45, 681-687, doi:10.1021/ma202304s (2012). Buitrago, C.F., Opper, K.L., Wagener, K.B. and Winey, K.I. Precise acid copolymer exhibits a face-centered cubic structure. ACS Macro Lett. 1, 71-74, doi:10.1021/mz2000237 (2012). Choi, J.H., Willis, C.L. and Winey, K.I. Structure-property relationship in sulfonated pentablock copolymers. J. Membr. Sci. 394, 169-174, doi:10.1016/j.memsci.2011.12.036 (2012). Coll Ferrer, M.C., Hickok, N.J., Eckmann, D.M. and Composto, R.J. Antibacterial biomimetic hybrid films. Soft Matter 8, 2423–2431, doi:10.1039/c2sm06969e (2012). Daley, C.R., Fakkhraai, Z., Ediger, M.D. and Forrest, J.A. Comparing surface and bulk flow of a molecular glass former. 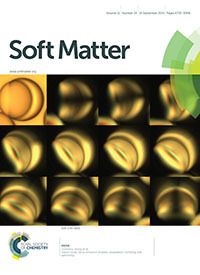 Soft Matter 8, 2206-2212, doi:10.1039/c2sm06826e (2012). Goldberg, J.M., Speight, L.C., Fegley, M.W. and Petersson, E.J. Minimalist Probes for Studying Protein Dynamics: Thioamide Quenching of Selectively Excitable Fluorescent Amino Acids. J. Am. Chem. Soc.134, 6088-6091, doi:10.1021/ja3005094 (2012). Goldberg, J.M., Wissner, R.F., Klein, A.M. and Petersson, E.J. Thioamide quenching of intrinsic protein fluorescence. Chem. Commun. 48, 1550-1552, doi:10.1039/c1cc14708k (2012). Gupta, S., Dura, J.A., Freites, J.A., Tobias, D.J. and Blasie, J.K. Structural characterization of the voltage-sensor domain and voltage-gated K+-channel proteins vectorially oriented within a single bilayer membrane at the solid/vapor and solid/liquid interfaces via neutron interferometry. Langmuir 28, 10504-10520, doi:10.1021/la301219z (2012). Guvendiren, M., Lu, H.D. and Burdick, J.A. Shear-thinning hydrogels for biomedical applications. 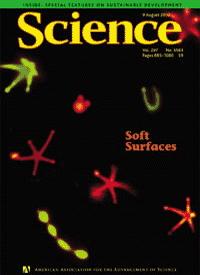 Soft Matter 8, 260–272, doi:10.1039/c1sm06513k (2012). Jusufi, A., LeBard, D.N., Levine, B.G. and Klein, M.L. Surfactant concentration effects on micellar properties. J. Phys. Chem. B 116, 987-991, doi:10.1021/jp2102989 (2012). Lanci, C.J., MacDermaid, C.M., Kang, S.G., Acharya, R., North, B., Yang, X., Qiu, X.J., DeGrado, W.F. and Saven, J.G. Computational design of a protein crystal. Proc. Natl. Acad. Sci. USA 109, 7304-7309, doi:10.1073/pnas.1112595109 (2012). LeBard, D.N., Levine, B.G., DeVane, R., Shinoda, W. and Klein, M.L. Premicelles and monomer exchange in aqueous surfactant solutions above and below the critical micelle concentration. Chem. Phys. Lett. 522, 38-42, doi:10.1016/j.cplett.2011.11.075 (2012). LeBard, D.N., Levine, B.G., Mertmann, P., Barr, S.A., Jusufi, A., Sanders, S., Klein, M.L. and Panagiotopoulos, A.Z. Self-assembly of coarse-grained ionic surfactants accelerated by graphics processing units. 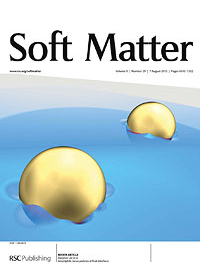 Soft Matter 8, 2385-2397, doi:10.1039/c1sm06787g (2012). Liu, J., Agrawal, N.J., Eckmann, D.M., Ayyaswamy, P.S. and Radhakrishnan, R. Top-down mesoscale models and free energy calculations of multivalent protein-protein and protein-membrane interactions in nanocarrier adhesion and receptor trafficking. In Innovations in Biomolecular Modeling, Ch. 11, pp 272-287. Royal Society of Chemistry Publishing (2012). McDaniel, J.R., Bhattacharyya, J., Vargo, K.B., W, H., Hammer, D.A. and Chilkoti, A. Self-assembly of thermally responsive nanoparticles of a genetically encoded peptide polymer by drug conjugation. Angewendt Chemie 52, 1683-1687, doi:10.1002/anie.201200899 (2012). Salas-de la Cruz, D., Green, M.D., Ye, Y.S., Elabd, Y.A., Long, T.E. and Winey, K.I. Correlating backbone-to-backbone distance to ionic conductivity in amorphous polymerized ionic liquids. J. Polym. Sci. Pt. B-Polym. Phys. 50, 338-346, doi:10.1002/polb.23019 (2012). Xu, L., Karunakaran, R.G., Guo, J. and Yang, S. Transparent, superhydrophobic surfaces from one-step spin coating of hydrophobic nanoparticles. ACS Applied Materials & Interfaces 4, 1118–1125, doi:10.1021/am201750h (2012). Xu, L.B., Karunakaran, R.G., Guo, J. and Yang, S. Transparent, superhydrophobic surfaces from one-step spin coating of hydrophobic nanoparticles. ACS Appl. Mater. Interfaces 4, 1118-1125, doi:10.1021/am201750h (2012).